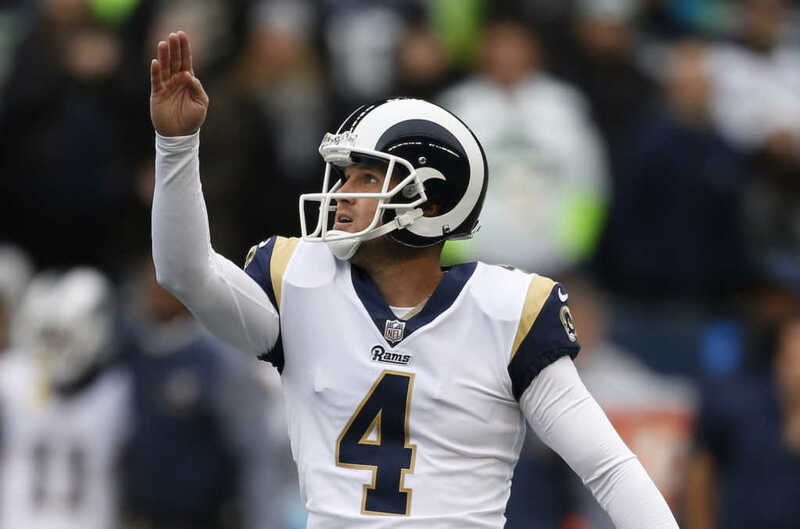 Los Angeles Rams kicker Greg Zuerlein, who has been outspoken about his Catholic faith, said right before the Super Bowl the “most important” role in his life is not sports, but leading his family to Christ. Rather, Zuerlein explained, it is faith that was present before his career and it is faith that will remain long after it, too. Prior to his marriage, the Rams player said his personal faith was his top priority, and now that he’s married, the convictions of his wife and children are his No. 1 concern. For Zuerlein, a focus on faith was second nature. He watched his parents live much the same way. “The church is there in so many ways for us to achieve that goal, so it is a matter of whether we want to cooperate with the grace available through the sacramental and devotional life of the church,” he said. Rams wide receiver Brandin Cooks has also been outspoken about his faith. The Patriots won Sunday’s game against the Rams 13-3.